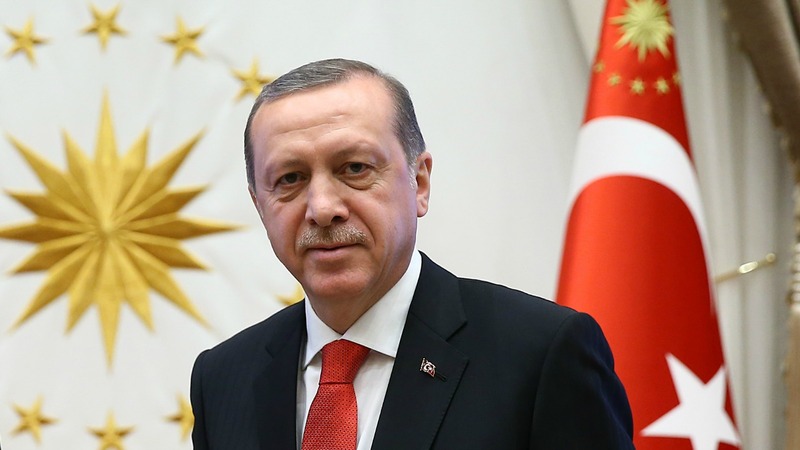 Turkish President Recep Tayyip Erdoğan warned the European Union on Thursday (7 April) that Ankara would not implement a key deal on reducing the flow of refugees if Brussels fails to fulfil its side of the bargain. Erdoğan’s typically combative comments indicated that Ankara would not sit still if the EU falls short on a number of promises in the deal, including visa-free travel to Europe for Turks by this summer. 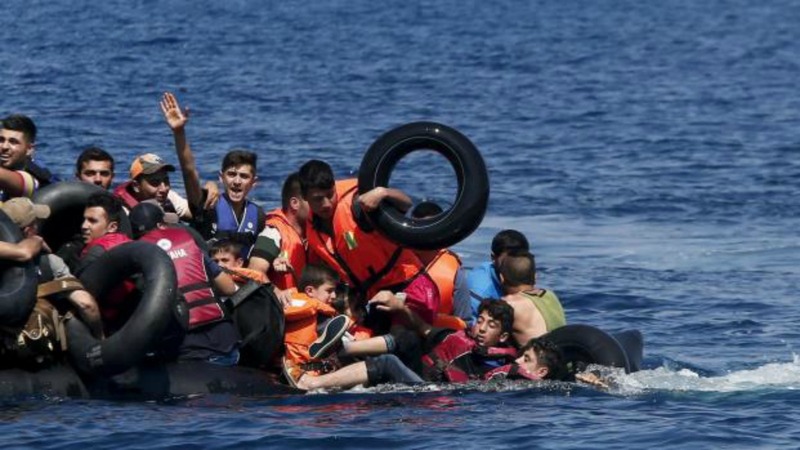 Meanwhile, the Vatican confirmed that the pope would next week make a brief, unprecedented trip to the Greek island of Lesbos where thousands of refugees are facing potential deportation to Turkey under the deal. “There are precise conditions. If the European Union does not take the necessary steps, then Turkey will not implement the agreement,” Erdoğan said in a speech at his presidential palace in Ankara. The 18 March accord sets out measures for reducing Europe’s worst migration crisis since World War II, including stepped-up checks by Turkey and the shipping back to Turkish territory of refugees who land on the Greek islands. In return, Turkey is slated to receive benefits including visa-free travel for its citizens to Europe, promised “at the latest” by June 2016. Turkey is also to receive a total of €6 billion in financial aid up to the end of 2018 for the 2.7 million Syrian refugees it is hosting. Marc Pierini, visiting scholar at Carnegie Europe, described the visa-free regime as one of the “biggest benefits for Turkey” in the refugee deal. He told AFP that Turkey still has to fulfil 72 conditions on its side to gain visa-free travel to Europe’s passport-free Schengen zone and that the move would also have to be approved by EU interior ministers. Turkey’s long-stalled accession process to join the EU is also supposed to be re-energised under the deal. But Pierini said there were many conditions still to be fulfilled here. “The worst reading of the EU-Turkey deal would be to imagine that Turkey is about to get a ‘discount’ on EU membership conditions just because of the refugees,” he said. Erdoğan argued Turkey deserved something in return for its commitment to Syrian refugees, on whom it has spent some $10 billion since the Syrian conflict began in 2011. “Some three million people are being fed on our budget,” the president said. “There have been promises but nothing has come for the moment,” he added. The first transfer of more 200 refugees from the Greek islands of Lesbos and Chios to Turkey took place on Monday. Officials said Greece was preparing to send around 50 more on Friday (8 April) unless they applied for asylum at the last minute. German Chancellor Angela Merkel, whose country took in 1.1 million asylum seekers last year, delivered a message of optimism Thursday regarding the refugee crisis. “I am very happy today, however I know that we have not yet completed all the tasks before us,” she told a press conference during a meeting with French counterpart François Hollande in eastern France. For every Syrian refugee among those sent back to Turkey, one Syrian is supposed to be resettled in Europe. The deal has caused huge controversy, with rights groups including Amnesty International claiming Turkey could not be considered a “safe country” for the return of refugees. Turkey has illegally returned thousands of Syrians to their war-torn homeland in recent months, highlighting the dangers for migrants sent back from Europe under a deal due to come into effect next week, Amnesty International said today (1 April). The United Nations refugee agency has refused to be involved in the refugee returns organised by the EU under its recent deal with Turkey, claiming that the so-called “hotspots” on the Greek islands, where refugees and migrants were received, assisted, and registered, have become prisons. EXCLUSIVE / Francesco Rocca, the vice-president of the International Red Cross Federation, questioned the European Union’s controversial refugee repatriation agreement with Ankara on the first day refugees started being sent back to Turkey, euractiv.com has learned. A Spanish far-left party filed a court complaint Thursday against acting Prime Minister Mariano Rajoy for “crimes against humanity” over his support of the accord. According to lawyers for IU, this represents a crime against humanity under the Spanish penal code. Pope Francis will visit Lesbos on 16 April to show his support for the refugees, the Vatican said. 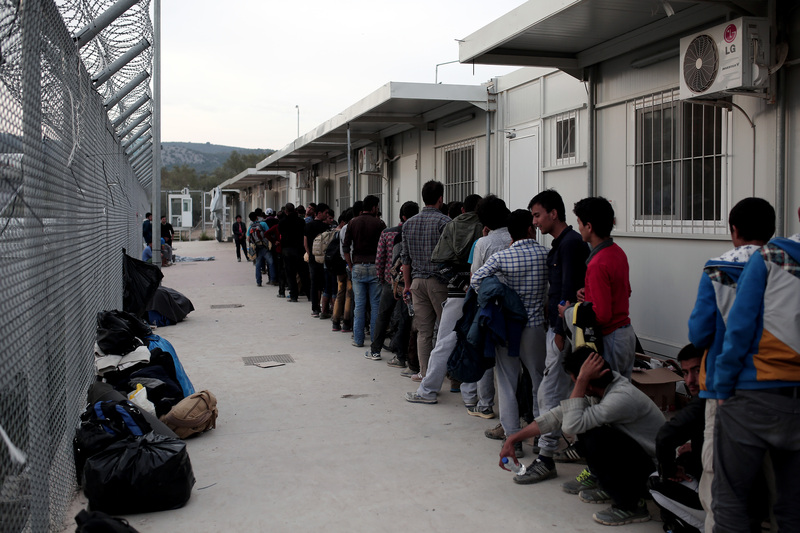 The Greek government Thursday started to move some refugees from the Moria camp on Lesbos, where 3,000 are crammed, to the open camp of Kara Tepe, also on the island, an official said, insisting it was not linked to the pope’s visit. The first refugees to be deported from the Greek islands of Lesbos and Quíos under the EU-Turkey agreement were taken to the Turkish port of Dikili on Sunday 3 April. EURACTIV Spain reports. 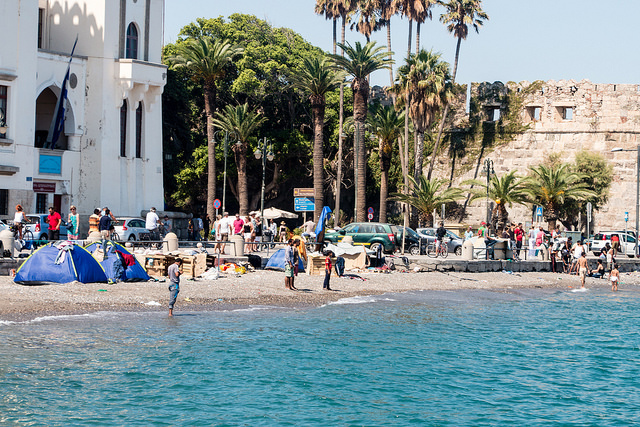 Migrants held on the Greek islands Lesbos and Chios live in "appalling" conditions with little access to legal aid or information about their fate under a European Union agreement that will send some back to Turkey, Amnesty International said yesterday (7 April). 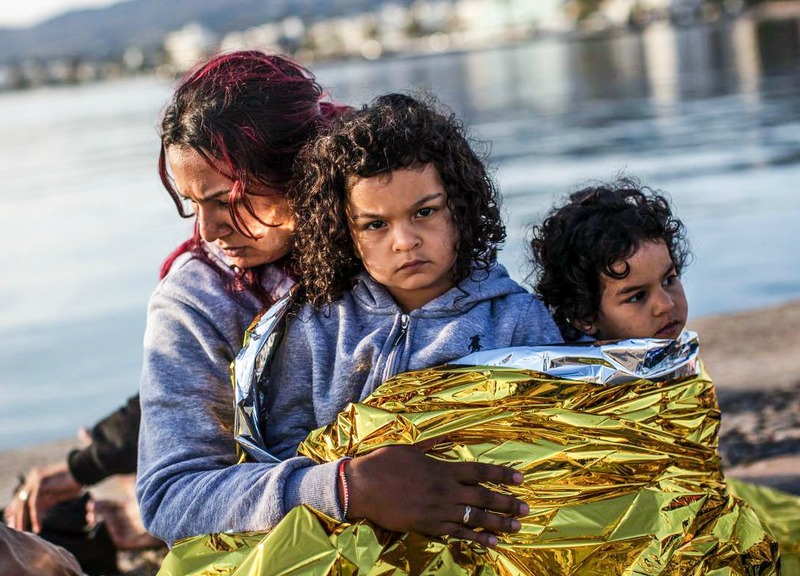 "People detained on Lesbos and Chios have virtually no access to legal aid, limited access to services and support, and hardly any information about their current status or possible fate," said Amnesty Deputy Director for Europe Gauri van Gulik. "The fear and desperation are palpable," she said. In a report published Thursday, Amnesty said among those held in the centres are a small baby with complications after an attack in Syria, heavily pregnant women, people unable to walk, and a young girl with a developmental disability. Many refugees spoke about the lack of access to doctors or medical staff. Legal aid is scarce and inaccessible to the vast majority, and asylum procedures are expected to be rushed, it said. Refugees told Amnesty that they did not get enough information about what the asylum process will entail. Many have received no or incomplete documentation of their registration. 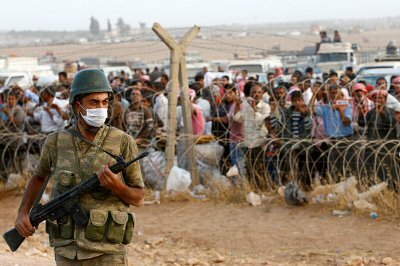 "It is likely that thousands of asylum seekers will be returned to Turkey despite it being manifestly unsafe for them," Amnesty wrote. Monitors visited the islands this week. One Syrian woman told Amnesty she and her family signed several documents despite not having an interpreter present, and were not provided with copies. "I don't need food, I need to know what is happening," the woman was quoted as saying. "Serious and immediate steps must be taken to address the glaring gaps we've documented in Lesbos and Chios," Amnesty's van Gulik said. "They show that in addition to Turkey not being safe for refugees at the moment, there are also serious flaws on the Greek side of the EU-Turkey deal. Until both are fully resolved, no further returns should take place." One week later and he already starts threatening. Erdogan is not just demanding, Erdogan is getting ready for full-on blackmail. Like a southern Italian don he is enforcing and protecting his income. In the long run this deal is unworkable. No doubt next year he will be demanding much more.Things will remain like this until Germany dumps the dubious leadership of Merkel. Until then it is up to the Visegrad countries to keep those borders closed. The Turkish Ottoman Empire is back. The enforcers have been arriving since last summer and are spreading out . And most importantly the European Union is paying for their own invasion.